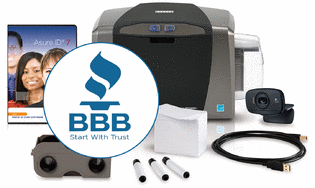 New York, NY � January, 14, 2014 � ID Security Online, a leading provider of ID card printers and photo ID systems, announced today that it has received its accreditation with the Better Business Bureau organization. ID Security Online is proud to announce that it has earned full accreditation with the Better Business Bureau along with an A rating. The Better Business Bureau is dedicated to fostering honest and responsive relationships between businesses and consumers. With this accreditation, the BBB recognizes ID Security Online as a trustworthy company that fully meets its high standards of excellence. For more information, call ID Security Online at 1-800-897-7024 or visit IDSecurityOnline.com. ID Security Online is a leading provider of ID solutions and answers the needs of all organizations and corporations such as government, Fortune 500 companies, schools/universities, hospitals, and international / local sporting events. IDSecurityOnline.com offers an extensive line of card printers, ID systems, supplies and accessories. These systems resist tampering with advanced features like holographic images, ghosted images, biometric data, smart card technology and enterprise level data base management.